COLORPHALT TOUGH is a petroleum resin-based binder (colored binder) for use on colored porous asphalt. 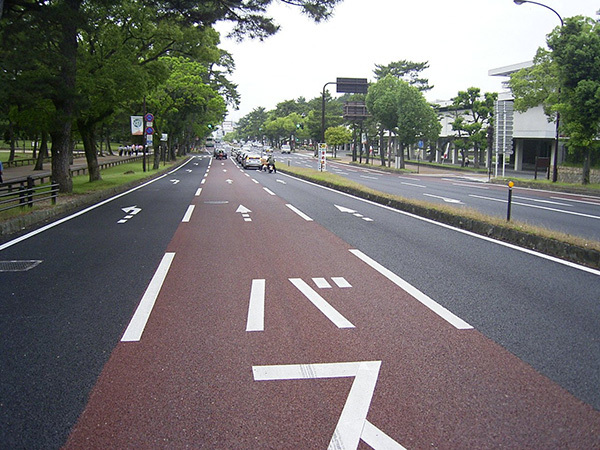 It conforms to the polymer modified asphalt type H standards. By adding pigments, it will be possible to make color porous paving that has various colors. Can be implemented in the same way as for general porous asphalt paving. By using together with colored aggregates, it will be possible to maintain the color over a long period.